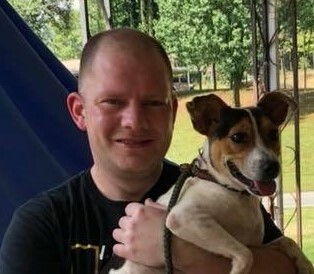 Jeremy Marshall Walker, age 39, of Old Fort passed away unexpectedly on Tuesday, April 9, 2019 at his home. Jeremy was born in Burke County on June 22, 1979 to the late Marshall Ledford Walker and Revonda Duncan Walker. He Loved his family deeply, especially his nieces and nephew, and cherished his church family. Jeremy liked music, and enjoyed playing the guitar. He also just recently celebrated three years of sobriety. In addition to his mother, Revonda Walker of the home, left to cherish his memory are his two brothers, Andrew Walker and wife Danielle of Old Fort, and Ronnie Walker and wife Kim of Old Fort; a nephew, Ryan Walker; and two nieces, Leah and Everly Walker. A visitation will be held on Thursday, April 11, 2019 from 3:00 to 5:00 pm in the chapel of Westmoreland Funeral Home in Marion. A memorial service will follow in the chapel at 5:00 pm with Pastors Andrew Walker and Dr. Jerry Lewis officiating. Jeremy being a strong advocate for dogs, memorials can be made in Jeremy’s name to Rusty’s Legacy at 139 Lytle Mt Road, Marion, NC 28752, but flowers are accepted and appreciated.